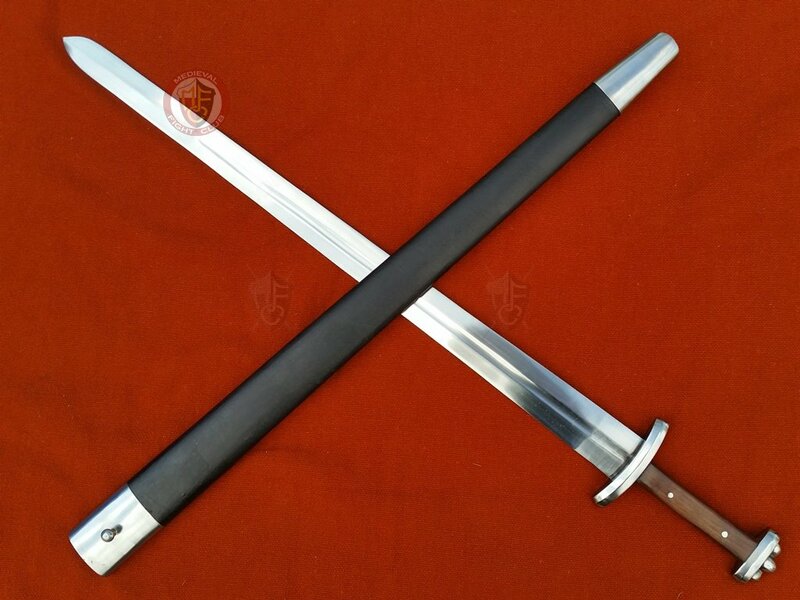 This sword has a full tang and is tempered to 52-Rockwell hardness cone (HRC). 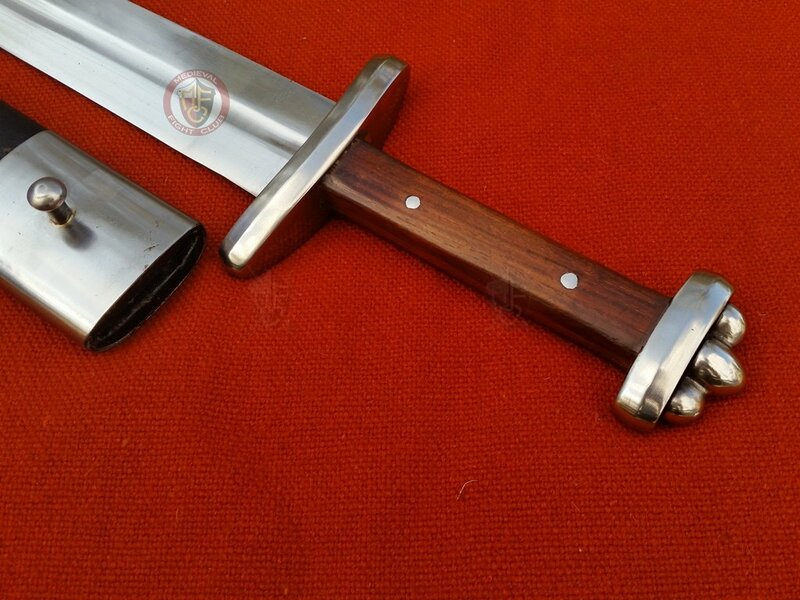 Each sword comes with a purpose fit scabbard made from wood and covered with rexine. 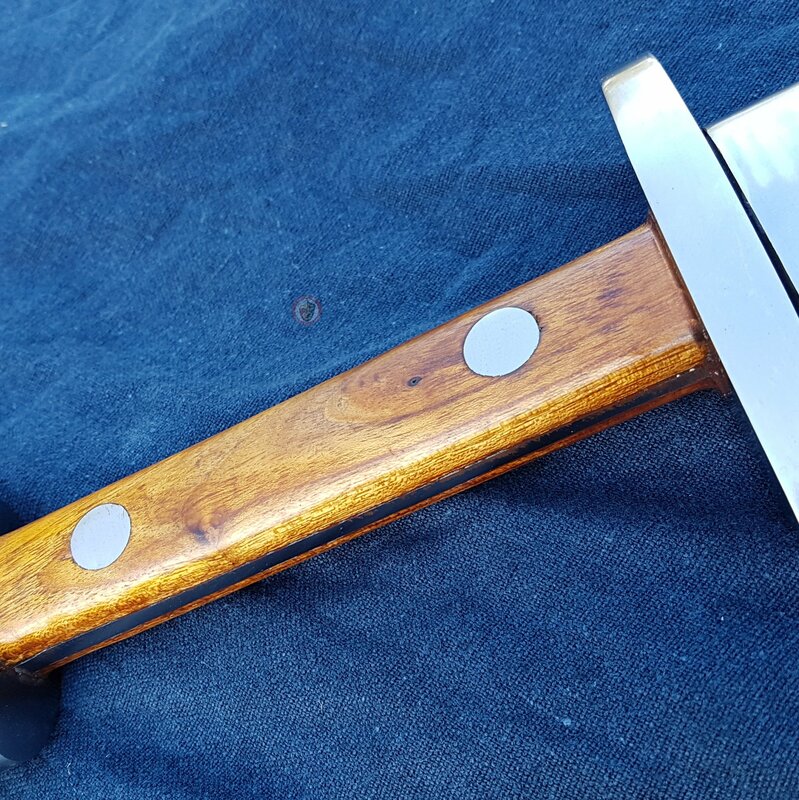 It is extremely durable and a potential danger to other blades. Please note the current style of rivets in the last image. 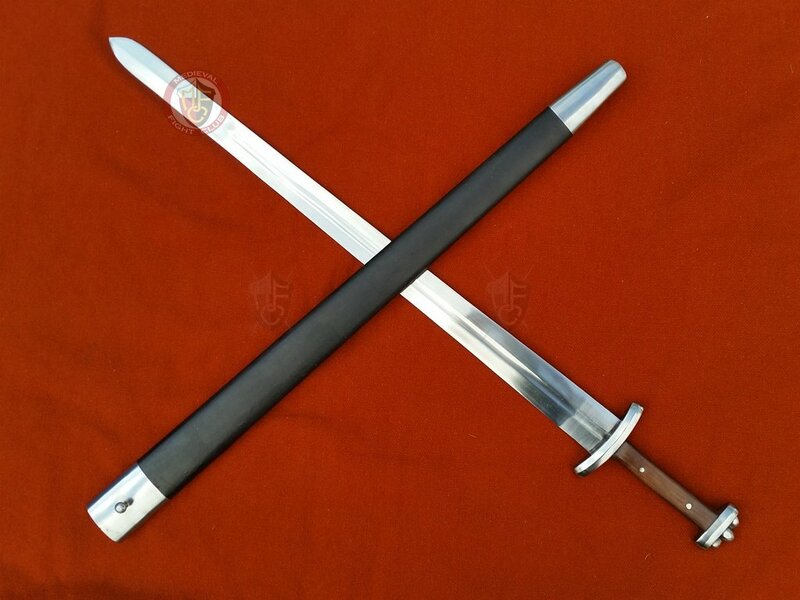 During the Viking age , the swords grew slightly in length to 37" (930 mm) and took on a slightly more acute distal taper and point. 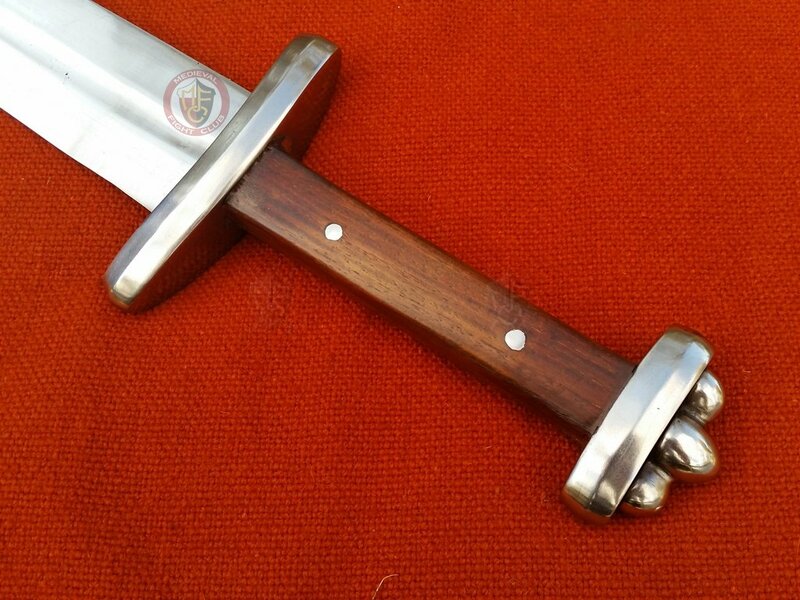 These blades had deep fullers running their length, yet still had single handed hilts which often sported a 'brazil nut' shaped pommel . 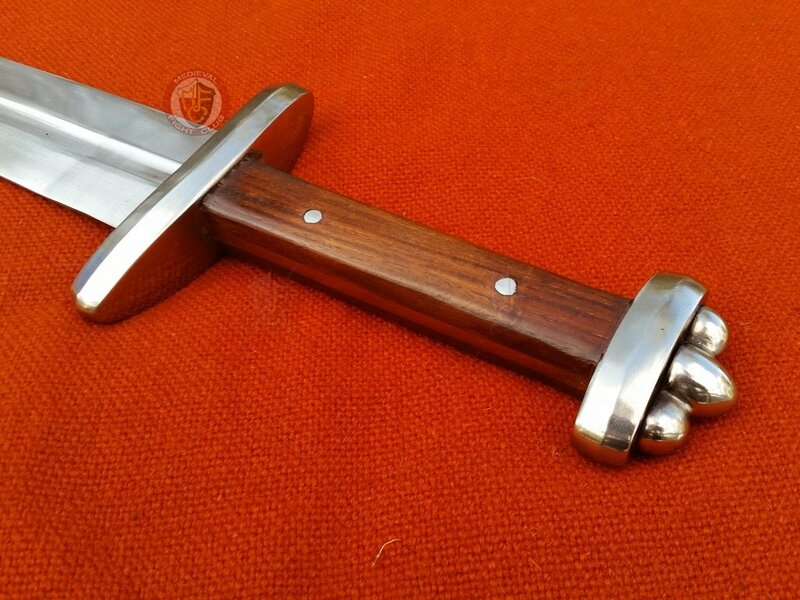 While the pattern of hilt and blade design of this time might readily be called 'The Viking sword' to do so would be to neglect the wide spread popularity it enjoyed. All over continental Europe between 700-1150 AD this design and its small variations could be found. A metal club This is the king of all swords. Though it rules with brute force! 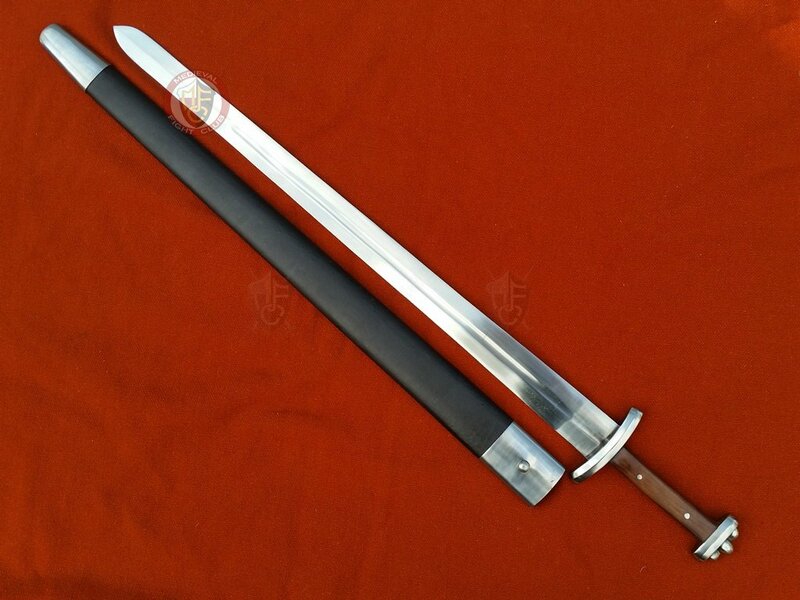 It has a bit of weight to it so make should you have the strength to pull your blows or you might just hurt someone. Worthy of a Demi God I recently shortend one of these and it is made of the hardest metal I have ever cut. I didn't want to heat it and ruin the temper, so it had to be done by hand. Teeth tore off the Hacksaw blades, I ended up cutting and shapping it with 3 files all of which are now compleatly worn out (blunt). The blade is this hard yet still remains flexable. I pitty the shields and swords that oppose this mighty weapon. Strength The best full tanged blade I have seen. Good thick edge which is perfect for reenactment. 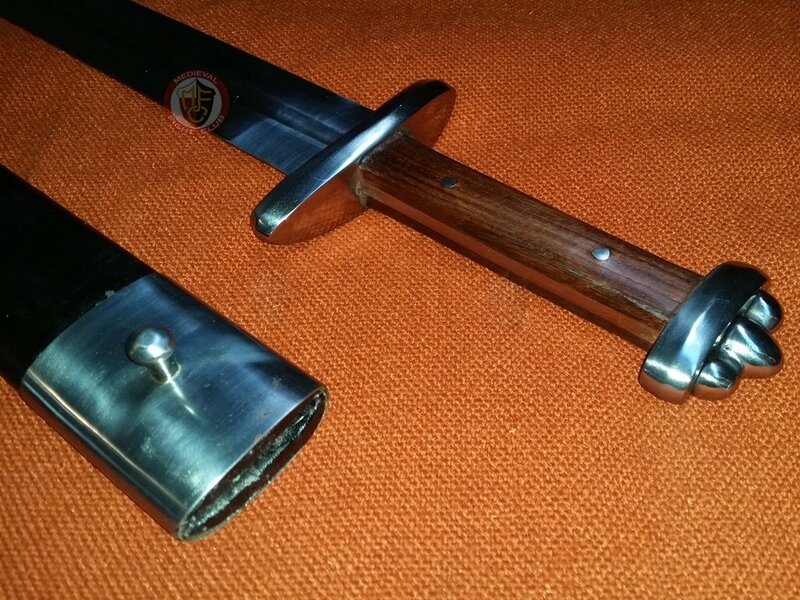 The steel gives off thta wonderful "ching" when struck.